In honor of Independence Day I decided, when figuring out a topic for this post, that I wanted to write about something American, something that goes back to our roots as as “one nation, under God, indivisible, with liberty and justice for all”. This isn’t the time or the place for me to enumerate all the ways in which our country has been slipping from that ideal, expressed so beautifully in the Pledge of Allegiance. Instead, I’d like to highlight an issue which is often overlooked today, but was considered to be of great importance by our founding fathers. It might seem like a small thing, compared to some of the huge issues our nation is facing, but it’s quite important, even vital, in its own way. Show of hands: who’s read “The Rules of Civility and Decent Behavior in Company and Conversation” (linked here) by George Washington? (Say that one five times fast.) Yes, the George Washington. If you haven’t read it, I’d highly recommend doing so; Washington’s rules range from deep, thoughtful reflections on human nature (“Let your conversation be without malice or envy, for ’tis a sign of a tractable and commendable nature: and in all causes of passion admit reason to govern” [#58]), to highly practical, common sense advice (“In visiting the sick, play not the physician if you be not knowing therein” [#38]). Some of his rules sound a bit odd to us today (“Do not puff up the cheeks, loll out the tongue, rub the hands or beard, thrust out the lips, or bite them, or keep the lips too open or too close” [#16]), while some are still widely accepted norms of common courtesy (“Reproach none for the infirmities of nature, nor delight to put them that have in mind thereof” [#21]). However, all 110 rules in this handbook of polite behavior share one common source: courtesy. And in its turn courtesy has a source which goes far deeper than the norms of politeness and civility which are its outward expression. This source is reverence. And reverence is where, in a meeting which obviously never occurred in history (though hopefully in eternity! 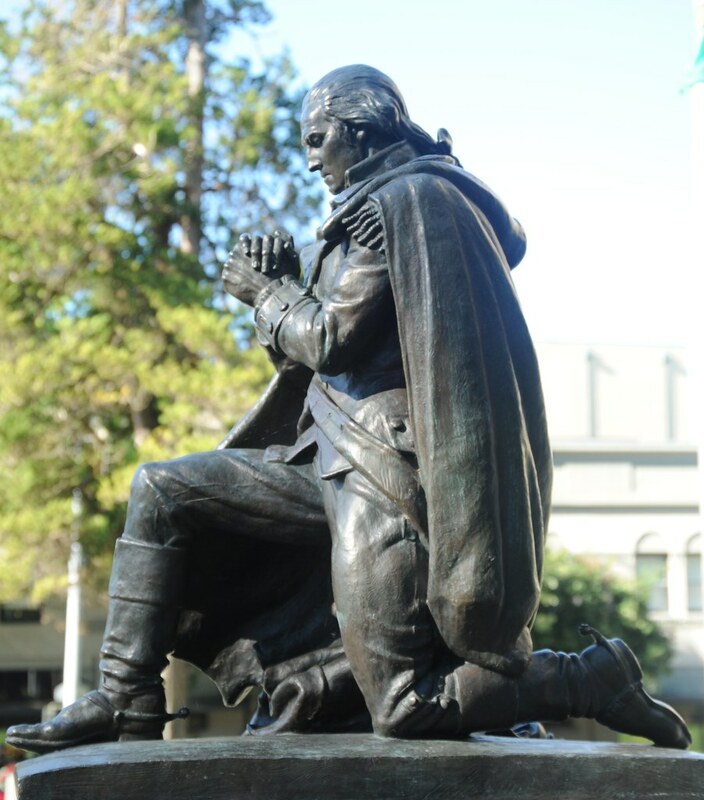 ), George Washington, the founding father and first president of the United States of America, shakes hands across the centuries with Dietrich von Hildebrand, German Catholic philosopher and champion of human dignity. In his book The Art of Living, Dietrich von Hildebrand defines reverence as “the attitude which can be designated as the mother of all moral life, for in it man first takes a position toward the world which opens his spiritual eyes and enables him to grasp values” (4). It is reverence which leads one to correctly appraise the dignity of each entity one encounters, and to treat them with a corresponding respect. Hildebrand goes on to state, “The man possessing reverence…does not fill the world with his own ego, but leaves to being the space which it needs in order to unfold itself. He understands the dignity and nobility of being as such…” (7). And, in the passage which serves as the connecting line between his thought and Washington’s, Hildebrand declares, “The fundamental attitude of reverence is the basis for all moral conduct toward our fellowmen and toward ourselves” (9). This statement, while clear and straightforward in expression, is the basis for a highly rich and varied multitude of expectations and obligations. For when one recognizes the inviolable dignity of the human person, one is, as it were, commanded by reverence to acknowledge and respect that dignity. Courtesy and polite behavior, I would argue, are the concrete, outward ways in which every person is called to acknowledge the God-given dignity of his fellow men. In this vein, George Washington’s “Rules of Civility and Decent Behavior in Company and Conversation” are a sort of Ten Commandments (Or rather, 110 Commandments!) of reverence. When read in this light, the fundamental attitude of reverence undergirding all of Washington’s rules becomes very clear. To refer again to the Art of Living quote above, “…reverence is the basis for all moral conduct toward our fellowmen and toward ourselves.” And that is just what Washington’s rules address; the conduct which is expected of a virtuous person towards himself and those around him. Some of Washington’s guidelines are a bit outdated, referring to a cultural norm of courtesy which was specific to his time and place (“Spit not in the fire, nor stoop low before it, neither put your hands into the flames to warm them, nor set your feet upon the fire especially if there be meat before it.” [#9]), while others seem almost too obvious to need mentioning (“In writing or speaking, give to every person his due title according to his degree & the custom of the place.” [#39]), but all of them have as their root the very personalist and Hildebrandian concept of reverence for oneself and one’s fellow man. Even though this post is technically American-themed in honor of the Fourth, everything said above applies to everyone, everywhere. When it comes to reverence and its outward expression of courtesy, it doesn’t matter what your nationality is, or whether you’re the CEO of a business, the guy flipping burgers for minimum wage, or the First Lady. No matter who you are or what you do, you are a human person with an awesome and inviolable dignity which demands to be respected by yourself and your fellow men. And as our founding fathers stated so boldly in the Declaration of Independence, 240 years ago yesterday, “We hold these truths to be self-evident, that all men are created equal, that they are endowed by their Creator with certain unalienable Rights, that among these are Life, Liberty and the pursuit of Happiness”, and we might add, reverence.